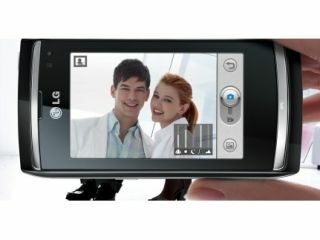 LG's attempts to cover up the release of the Viewty 2 have spectacularly failed, so it's not surprise we get the official news of the new Viewty Smart. Designed to be a successor to 2007's original Viewty, the Viewty Smart is a super flat device, weighing in at 90 grams and rocking a thickness of only 12.4mm. It's also the next in line to use the 3D S-Class interface LG has so lovingly developed and first seen on the Arena, so there's clearly going to be some decent processing power in there. There's a 3-inch touchscreen as expected with an 8MP camera, building on the impressive 5MP effort from the original Viewty and even auto-motion detection for the spy-loving among you, and even a little sliding door to protect the lens / fiddle with and annoy your partner. There's the usual gubbins we're used to seeing on higher-end phones but never made it onto the original Viewty, such as Wi-Fi and GPS, although HSDPA is there once again. We've contacted LG to find out some more details (ie when, where, how much, why, can we have...) so we'll be getting back to you. Rumours are surfacing it's heading out of the blocks with Orange to start with, but they haven't been confirmed as yet.